Sluggish global smartphone sales are starting to crimp earnings at Samsung Electronics, which posted profit that fell short of estimates. The maker of Galaxy phones reported that operating income rose to 14.8-trillion won (US$13.2-billion) in the three months ended June, according to preliminary results released on Friday from the Suwon, South Korea-based company. That compares to the 15.3-trillion won average of analysts’ estimates compiled by Bloomberg. Smartphone sales started to cool last year after a decade of robust growth, but Samsung had managed to weather the slowdown, thanks to demand for memory. 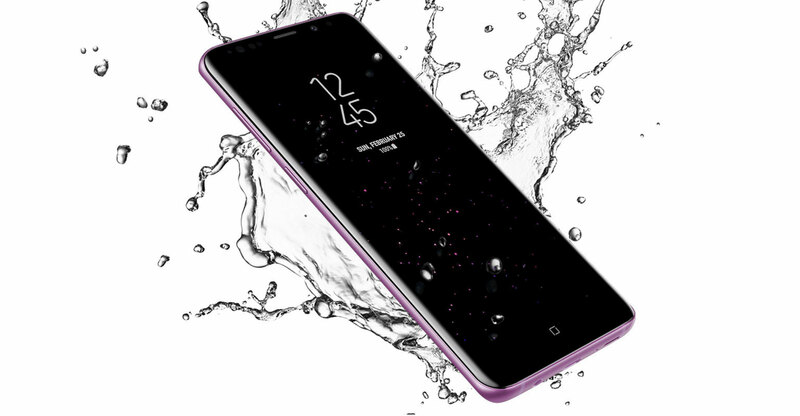 While the world’s biggest chip maker dominates in both DRAM and NAND markets, the company has struggled with weaker-than-projected sales of its Galaxy S9 smartphones unveiled in the first three months of the year. Sales of organic light-emitting diode screens to Apple have also been weaker than expected, while the growth of semiconductor prices has been slowing. Sales for the second quarter fell to 58-trillion won, compared to the 60.8-trillion won average projection compiled by Bloomberg. Samsung won’t provide net income or break out divisional performance until it releases final results later this month. Shares fell as much as 2% in morning trade in Seoul. The stock has declined more than 11% this year after trading near record highs in 2017. Samsung warned in April that its mobile business would see “stagnant sales of flagship models amid weak demand and an increase in marketing expenses” in the second quarter. Samsung’s market share is forecast to fall to 20.4% in the second quarter from 21.4% in the previous quarter, while Huawei Technologies, Oppo and Xiaomi would all raise theirs, according to TrendForce. Chinese companies have also been challenging Samsung in the LCD television market where the South Korean manufacturer leads. Samsung also faces an investigation in China over allegations of collusion in chip sales with Micron Technology and SK Hynix while facing regulatory pressure at home over corporate governance. The semiconductor business forms the largest portion of Samsung’s profit. Contract prices for 32GB DRAM server modules climbed 2.8% in the June quarter from the March period, which saw them rise 5.6%. Prices for 128GB MLC NAND flash memory chips fell about 9%, according to inSpectrum Tech. Protectionism may end up benefiting the South Korean chip maker if the US puts tariffs on Chinese imports and China retaliates, Jung at Korea Investment Management said. Samsung offers China an alternative to Micron in chips and US companies may look to Samsung for displays if Chinese firms like BOE Technology Group are hit, he said. The won may also help Samsung to bounce back in the second half. The Korean currency has weakened sharply since early June after fears of a trade war reignited.